Everyone has secrets – Aria, Emily, Hanna and Spencer have more than most, but with all of the secrets they are holding it may be starting to get overwhelming for them. Aria knows that she should tell Ezra about his son, but she isn’t ready to face the idea of what it might do to her relationship. Hanna, on the other hand, is sure Caleb is keeping a secret from her and she is determined to find out what it is. 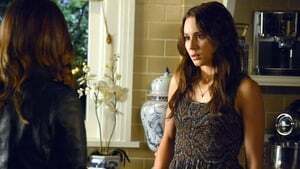 Spencer is fed up with all of the secrets and decides she no longer wants to play the games. Will their secrets drive the girls to take desperate actions that could, in turn, make the situation worse? Meanwhile, Emily learns more about what Ali may have been hiding the summer before her murder.